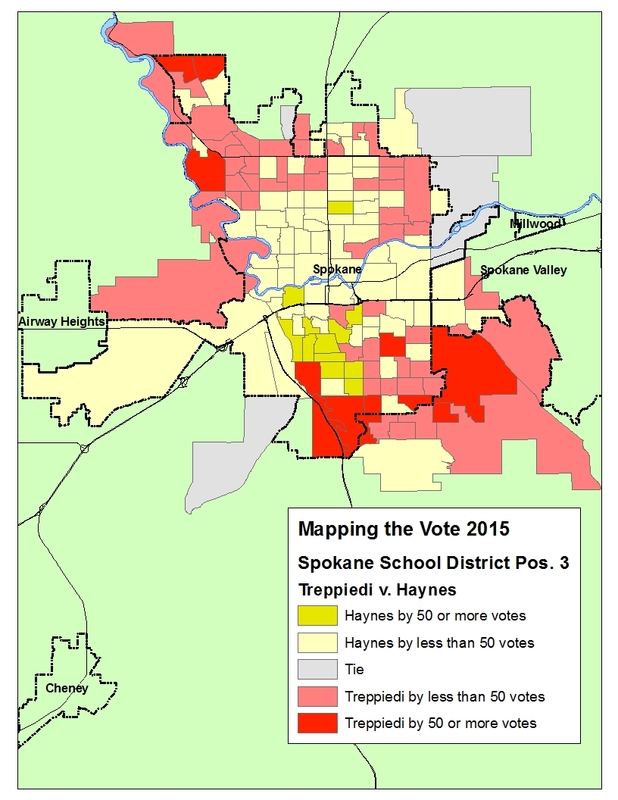 Thu., Nov. 5, 2015, 12:16 p.m.
As Eli Francovich and Kip Hill reported today,one of the Spokane School Board races shifted in Wednesday's vote count. Jerrall Haynes is now ahead of Rocky Treppiedi for the Position 3 seat. Comparing the maps of the Election Night tally with Wednesday's tally shows where Haynes gained ground. For a closer look, pull up the PDF versions of the map in the documents links.